Condition report – The two front tyres are worn out and need replacing, so will the rear guard indicator lens. there are noticeable marks on the body that will need to be detailed out. It has no sunroof, no leather, no sat nav and no tradesman extras. 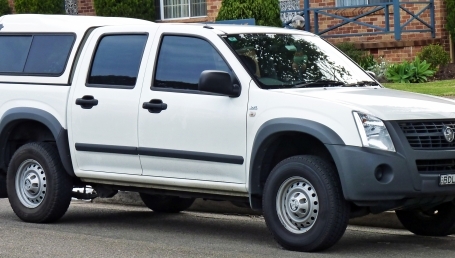 Odometer reading shows – 201000 kms, engine size 4, manual transmission, seats 5, doors 4, four wheel drive diesel engine.